Hoverboard fidget spinner mod - Winters coming! When riding your hoverboard during the summer you have those long nights where the sun never seems to set and when it does it comes back just as quick. But now when Autumn and Winter are knocking on our front door and the LED lights on your hoverboard might not be enough to make you stand out from the dark autumn and winter nights. So how do you modify your hoverboard to make it Autumn ready? Yes, that is true. With the use of a LED-light fidget spinner, you can pretty much create your own unique light show while riding. This doesn’t only increase your visibility during these long and dark winter nights. It also looks really sweet! With these, you can create the most unique and satisfying hoverboard mod ever and I’ve come to name it the Fidget Spinner Hoverboard Mod. 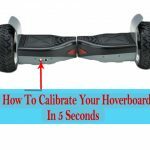 The process is pretty straightforward and simple, you can check out this hoverboard fidget spinner video for a walk-through or just keep on reading below. So first you want to unpack that fidget spinner and connect the hot glue gun to your outlet. 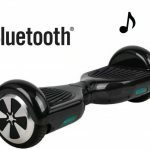 When it’s hot enough, put your hoverboard sideways with one rim facing upwards, this way the spinner won’t be able to slide. Use the hot glue gun to squeeze out some glue in the middle of the rim and then press the fidget spinner in place. Make sure it is well centered and that you don’t use too much, nor to little hot glue to attach it as that may result in it falling off or you gluing the bearings together. After that, just switch sides and do the same to the other side. If you used a LED fidget spinners like us there are a bunch of cool ones and the one we chose has 18 different patterns which make it look even more amazing. You’re done and now you are your own rolling light show and should be seen by everybody even during these dark months. Best part you can switch out the fidget spinners with ease for a new set of cool pimp my ride rims every day. Don’t forget to hit your favorite jam when the lightshow starts. Learn how to connect through Bluetooth.